This Place of Worship was founded after 1851, but we understand it was closed in 1973. 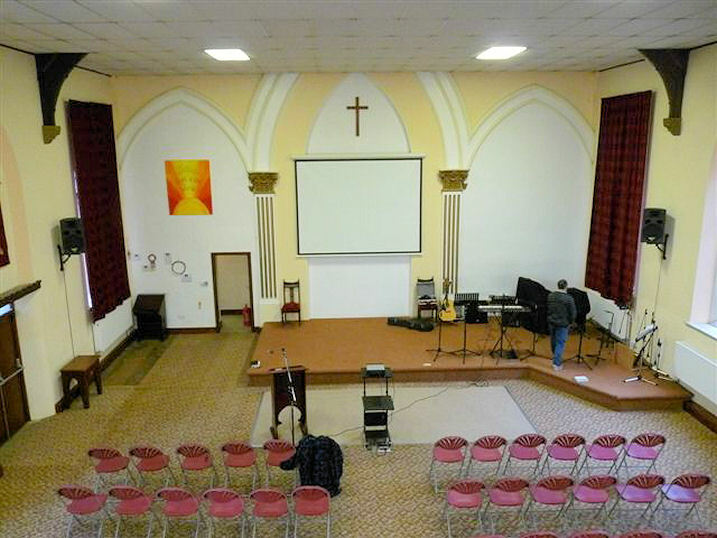 London Road Methodist Church is situated close to what is known as the "Five Ways" junction - a meeting of London Road, Dale Road, High Street West Road, and Green Lane. Kelly's Directory of 1895 describes it as "a building of Yorkshire ripping with ashlar dressings, erected in 1890, at a cost of £1,800", with sittings for 600; whilst Bulmer's Directory of the same year records it as "a handsome stone building, erected at a cost of £1,689. It is lighted by stone-mullioned Gothic windows. At the main entrance, which is on the east side, is a very fine cut stone arch with granite pillars. Behind the western gable are three vestries, or class-rooms. The circuit minister is the Rev. John Teece. A Sunday school adjoins the chapel, affording accomodation from about 150 scholars". White's Directory of 1857 records an earlier meeting place for Primitive Methodists - "a small Chapel in the Back lane, behind the Queen's Inn". Presumably this was built after 1851, as it is not mentioned in the Religious Census of that year. This was evidently replaced in 1869, when according to an Archaeological Assessment Report for Buxton, on the Archaeology Data Service website (part of Derbyshire Extensive Urban Survey, p.23) the Primitive Methodists opened a chapel on London Road in 1869. It included a minister's residence, and Sunday School, but was replaced by the present building as it was "not sound". Some of the materials from the old chapel were however reused. NOTICE is hereby given, that a separate building, named the Primitive Methodist Chapel, situated at Cote Heath, London-road, Buxton, in the parish of Hartington, in the county of Derby, in the district of Chapel-en-le-Frith, being a building certified according to law as a place of religious worship, was, on the 25th day of February, 1873, duly registered for solemnizing marriages therein, pursuant to the Act of 6th and 7th Wm. IV., cap. 85. Dated 26th February 1873. Derbyshire Record Office's Non-Conformist Register Guide includes records of baptisms 1886-1966, and marriages 1940-1971; mentioning also that it was built in 1868, rebuilt in 1890, merged with Wesley Chapel (now Buxton Methodist Church) in 1966, and closed in 1973. 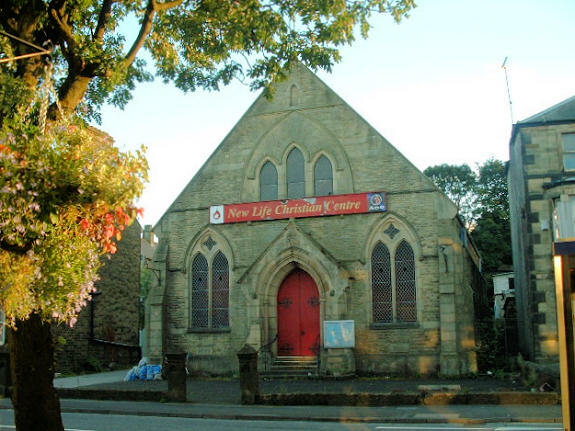 It is believed that the building was taken over subsequently by the Pentecostal Church, and has since been known as "New Life Christian Centre", and "Buxton Community Church". 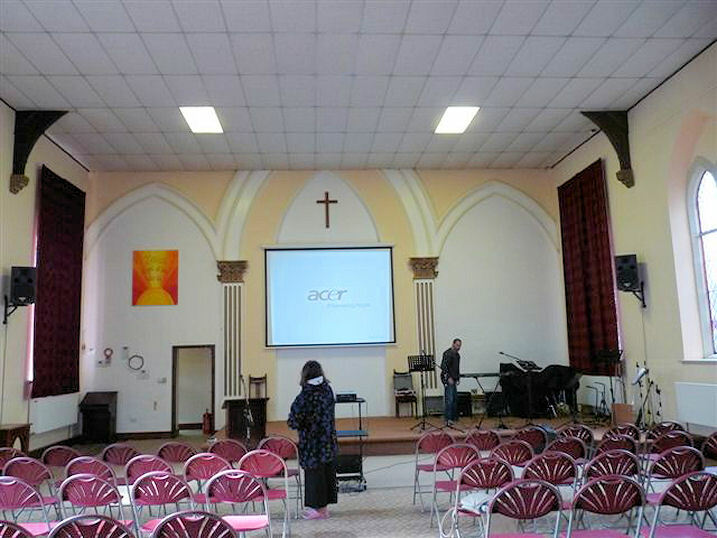 London Road Methodist Church, Buxton shown on a Google Map. Information last updated on 27 Feb 2015 at 15:10. This Report was created 28 Mar 2019 - 05:57:16 GMT from information held in the Derbyshire section of the Places of Worship Database. This was last updated on 6 Feb 2019 at 15:49.